and going on into the period known as the Anarchy, when the heirs of Henry I fell out and England was torn between Stephen of Blois, son of King Henry’s sister, who aggressively seized the kingdom upon Henry’s death, and Matilda, Henry’s daughter ie more directly in line to the throne but a) a woman b) married to Geoffrey count of Anjou, a family and region traditionally at odds with the Norman aristocracy. 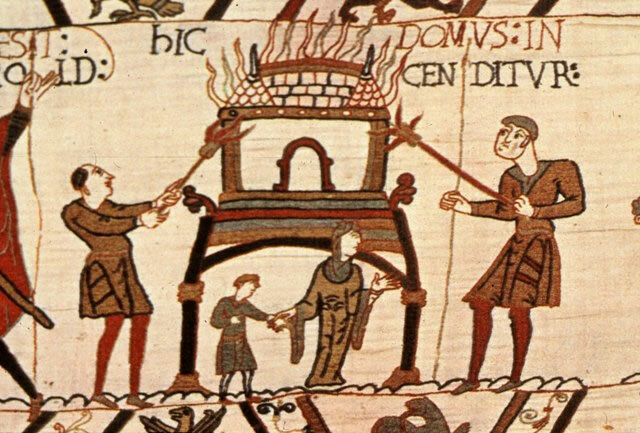 The conflict between the two heirs, their followers and the thousands of mercenaries they imported into England kept the country in ruinous anarchy for nearly twenty years (1135-1154). John of Worcester (1080?-1140?) A monk and historian who worked at Worcester Priory, John is credited with being the author of the Chronicon ex chronicis, a world history which begins with the creation and ends in 1140. Henry of Huntingdon (1088-1156) archdeacon of Huntingdon and author of the Historia Anglorum or History of the English from the earliest times to the author’s day and age. 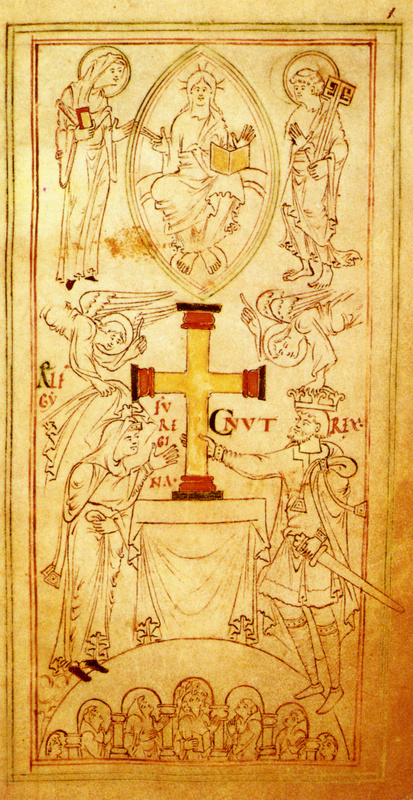 Especially valued for the last three books which cover the period from Aethelred the Unready through the conquest of Cnut, Edward the Confessor and the Norman Conquest and the rule of the Conqueror’s successors, William II, Henry I, through to the Anarchy of King Stephen’s reign. His history ends with a paean to the newly-crowned King Henry II, hoping he will bring peace to an exhausted nation. William of Malmesbury (1095-1143) credited as being possibly the most learned man in 12th century Europe! Inspired by Bede, he amassed a great collection of historical and theological texts and in 1125 produced his Gesta Regum Anglorum or Deeds of the English Kings. That same bishop Alexander of Lincoln who had commissioned Henry to write his history, a little later, in the 1130s, asked Geoffrey of Monmouth (1100-1155) to translate the prophecies of Merlin into Latin from Welsh. Geoffrey incorporated them into a longer work, his Historia Regum Britanniae or History of the Kings of England, an almost farrago of myths and legends from the legendary Brutus down to the death of King Caedwalla in the 600s. 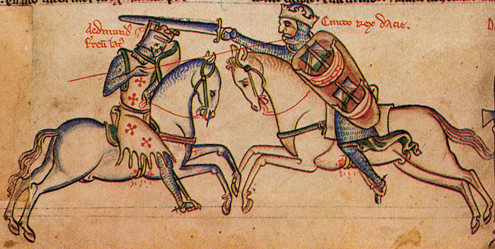 Gesta Stephani or The Deeds of King Stephen is an anonymous history of the reign of Stephen (1135-1154) and is one of the main sources for this period in English history. It consists of two books which a leading scholar reckons were written: Book I in about 1148, Book II up to the accession of Henry II, after 1154. John of Salisbury (c. 1120–1180) was an English author, educationalist, diplomat and bishop of Chartres, whose chief works – Policraticus, sive de nugis curialium et de vestigiis philosophorum and the Metalogicon – are concerned with theology and philosophy but also contain references to contemporary courtly life and politics. Ralph de Diceto (c.1125-c.1202) archdeacon of Middlesex, dean of St Paul’s Cathedral and author of two chronicles, the Abbreviationes chronicorum and the Ymagines historiarum, the former a history of the world since its beginning, the latter containing original material after 1170 and becoming a useful contemporary record from 1181. William of Newburgh (1136?-1198?) was an Augustinian monk who lived in Bridlington, Yorkshire, where he published his major work, the Historia rerum Anglicarum or History of English Affairs, a history of England from 1066 to 1198. He is entertainingly critical of Geoffrey of Monmouth, who he accuses of publishing ‘shameless lies’. Roger of Hoveden or Howden (fl. 1174–1201) was a 12th-century English chronicler who served as a diplomat for Henry II and went on the Third Crusade with Richard I. He wrote a history of the reigns of the two kings whose courts he knew well, Gesta Henrici II et Gesta Regis Ricardi, and later in life a Chronica, a history of England from 732 to his own time, which is mostly derivative but for the period 1092 to 1201 (when it breaks off) is a unique source. Walter Map (1140-1210) a cleric who was a courtier to Henry II before holding various positions at Lincoln, St Paul’s and Hereford. He is known for one work, De nugis curialium or Trifles of courtiers, a series of gossipy, scandalous anecdotes about contemporaries or notable people from the recent past, from Saladin at the fall of Jerusalem to St Anthony meeting a unicorn, from the character of Godwine the Saxon noble to the character of mermaids! It contains some of the earliest recorded tales about vampires. Sounds like an entertaining gallimaufry. Gervase of Canterbury (c. 1141 – c. 1210) was a monk at Canterbury. He helped bury the murdered Thomas a Becket (December 29 1170) and went on to serve succeeding archbishops. He wrote The Chronicle, covering the period from 1100 to 1199 and the Gesta Regum, in part an abridgment of the earlier chronicle but from the year 1199 an independent source for the early years of King John’s reign. Gerald of Wales aka Giraldus Cambrensis (c.1146-c.1223) a monk of Welsh and Norman descent, who spent time studying in Paris and England but is most known for his books about Wales and Ireland, specially the Itinerarium Cambriae or Journey through Wales (1191). This was the result of accompanying the Archbishop of Canterbury, Baldwin of Forde, on a tour of Wales in 1188 to drum up support for the Third Crusade, and was swiftly followed by the Descriptio Cambriae in 1194, two vital sources of information for the Welsh history and culture of the time.